These are CorelDraw Files and 3D printed beam for Smart Home Model. To laser cut, please use 3mm clearance acrylic sheet for main house and 1mm black acrylic sheet for decorating on the house. Needed a “smart button” to easily turn on/off some lights via Home Assistant, and I had this arcade button left over from a Google AIY Raspberry Pi voice kit. The hole diameter is 28 mm, so it should fit regular sized arcade buttons. Designed to fit a Lolin V3 ESP8266 board. 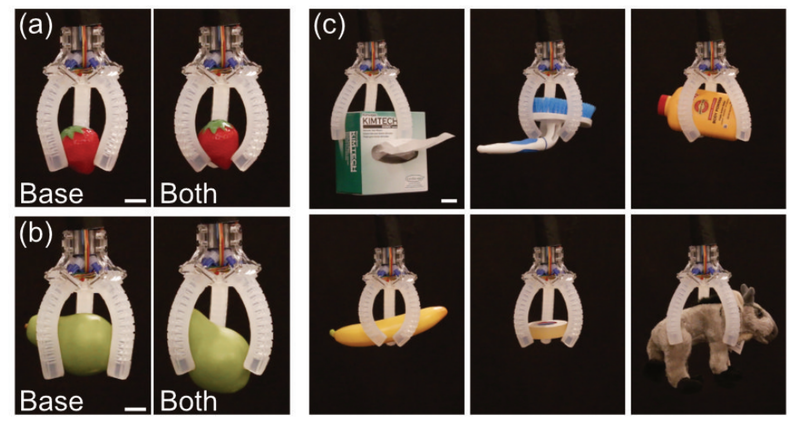 Robotics and 3D printing have gone hand in hand for years, but researchers Ryan L. Truby, Robert K. Katzschmann, Jennifer A. Lewis, and Daniela Rus have put a much more literal touch on that in their study, ‘Soft Robotic Fingers with Embedded Ionogel Sensors and Discrete Actuation Modes for Somatosensitive Manipulation,’ outlining their latest innovations: grippers that are highly functional due to their adaptability for gripping. Examples of manipulator poses. Photographs of the soft gripper during no (left), base-only (center), and full-finger actuation at inflation pressures of 140 kPa. Scale bar is 15 mm. Examples of object grasping. (a-b) Examples of grasping poses are shown for holding a toy strawberry (a) and pear (b) during base-only (left) and full-finger actuation (right). (c) Examples of objects that can be grasped by the soft gripper with appropriate pre-grasp orientation. Inflation pressure is 140 kPa in each photograph. Scale bars are 15 mm. fingers comprise a soft gripper fixed to a robot arm. (b) Inflating the tip (left), base (center), or tip and base (right) actuator networks enable three modes of finger bending and (c) different grasps. (d) Schematics of the finger from side (top), top-down (middle), and bottom-up (bottom) views. Scale bars are 30 mm. Each finger is made up of two ‘fluidic networks’ running throughout the artificial tip, base, and ‘full-finger actuation.’ There are a variety of different ways that the hand can grip, with four different sensors controlling each digit that contains an organic ionogel for sensory feedback. As is so often the case in human creativity, science, and 3D design, nature is an enormous inspiration. For this study, the researchers drew on the natural sensory capabilities and dexterity of human hands, creating the three-fingered robotic gripper. Each one was 3D printed using EMB3D printing, which allows for arbitrary patterns to be created—and here, the design is modular. 3D printing took around 90 minutes, curing overnight, and then the parts were refrigerated for an hour to liquefy the ink. The soft fingers were wired together, and then inflated with a pneumatic valve. 3D printing allows users (and researchers especially) much more latitude in the lab, and along with accompanying electronics and robotics applications, this often involves experimentation and innovation resulting in items like stretchable electronics, liquid applications, and integration within the internet of things. Find out more about the use of embedded 3D printing for robotics here. What do you think of this news? Let us know your thoughts! Join the discussion of this and other 3D printing topics at 3DPrintBoard.com. Germany company ViscoTec makes systems that are required for conveying, dosing, applying, filling, and emptying medium to high-viscosity fluids. Based in Bavaria with subsidiaries in China, India, Singapore, and the US, ViscoTec first began working with 3D printing several years ago when it introduced a paste extruder, followed by its Fluid Dosing and Deposition (FDD) Starter Kit. In 2017, the award-winning company launched the first of its innovative printheads, followed the next year by its vipro-HEAD with optional heating function for viscous fluids, and then the vipro-HEAD 3/3 and 5/5 for 3D printing two-component viscous fluids and pastes. Now ViscoTec is launching its latest two-component vipro-HEAD, which allows both of its motors to be directly controlled through a 3D printer – making it easy to precisely mix and print two-component viscous fluids and pastes. 3D printing of silicone midsoles with ViscoTec printhead. Two-component 3D printing is a big deal, because it can really expand the scope of possible 3D printing applications. For instance, silicone can be 3D printed in this way, which makes it possible to be used in the medical field and for fabricating things like shoe soles. But the latest version of the vipro-HEAD is even more advanced, not just because of its two-component 3D printing ability, but because it’s supported by pressure sensors for more efficient and reliable printing. The printhead’s main components are the rotor and stator, which make sure that the two components continuously and uniformly deliver material from the suction point all the way to the outlet, no matter how small the quantity and layer height. This volumetric conveying principle means that the vipro-HEAD can guarantee, as the company puts it, “linearity of volume and speed.” Regardless of their overall viscosity, liquids and pastes can be processed through the two-component printhead, making it the perfect choice for materials like acrylates, polyurethanes, silicone, and epoxy or polyester resins. Each of the two material components can be fed individually, in the exact dosage, into the static mixer through a flow-optimized channel. Customers can choose a specific static mixer, which can be attached to the printhead, based on their materials and the degree to which they need to be mixed together. High-quality sensors are used to guarantee quality prints by monitoring outlet pressures of each component, which is obviously extremely important when it comes to the repeatable part quality that’s necessary in series production. These sensors, along with the vipro-HEAD’s use of separately controllable drives, are major improvements, in addition to an optional venting screw, which allows excess air to vent quickly. The sensors, which come with detachable 5 m long motor cables, also help in avoiding quality differences or process delays that come from hardened mixers, which helps protect both the stator and the rotor from being damaged. Because both components enter the stator through a separate inlet, and the materials can be individually dosed, the vipro-HEAD can achieve high-quality, reliable 3D printing of liquid two-part components that have excellent chemical resistance and mechanical properties. In addition, ViscoTec’s pressure-tight, self-sealing displacement system is used in both sizes of the vipro-HEAD, ensures controlled rotary movement of the rotor, which conveys the components through displacement in the stator. This means that the material is returned through reversing the rotation direction, which ensures high quality and a controlled material thread break. Because the new vipro-HEAD can help 3D print components that are able to withstand chemical and mechanical stresses, ViscoTec can provide companies in the aerospace, automotive, electronics, and medical fields with an optimal solution for two-component 3D printing of viscous fluids and pastes. What do you think about this? Discuss this story and other 3D printing topics at 3DPrintBoard.com or share your thoughts in the Facebook comments below. NEW GUIDE ALERT! 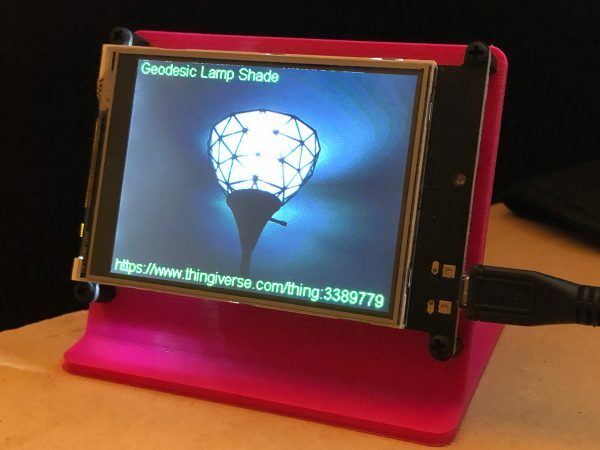 The PyPortal Thingiverse Viewer guide shows you how to build your own internet connected Thing display! Thingiverse is a terrific repository of Things that you can download and build using various digital fabrication techniques, with an emphasis on 3D printable models. 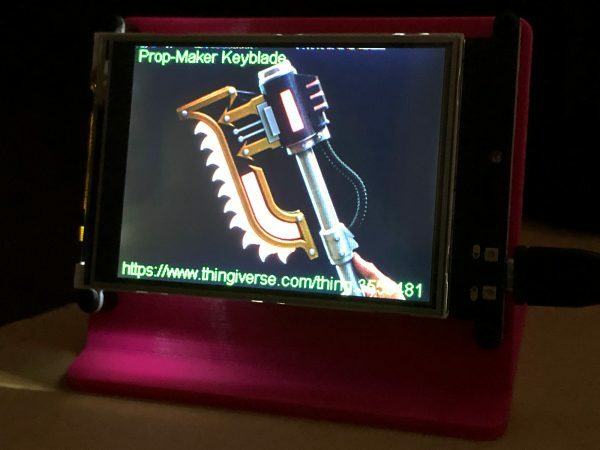 You can display a collection of your favorite Thingiverse maker Things with the PyPortal and admire these builds in convenient 2D image form! 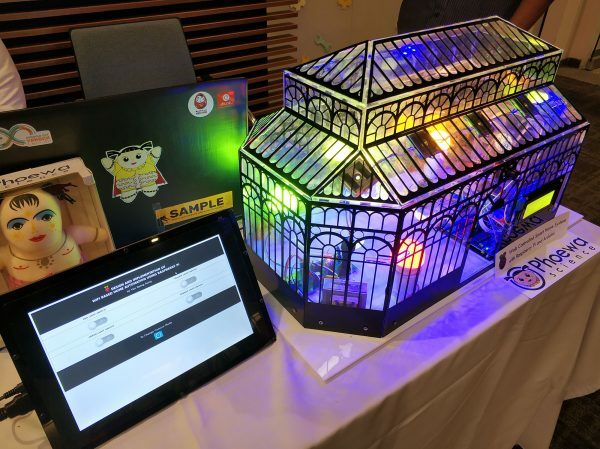 This PyPortal project uses CircuitPython to grab the info and image of a randomly selected Thingiverse object via the WiFi co-processor and then display them on the PyPortal’s screen.